Mount Damāvand (Persian: دماوند‎‎ [dæmävænd] ( listen)), a potentially active volcano, is a stratovolcano which is the highest peak in Iran and the Middle East as well as the highest volcano in Asia (the Kunlun Volcanic Group in Tibet has a higher elevation than Damāvand, but are not considered to be volcanic mountains). It has a special place in Persian mythology and folklore. This peak is located in the middle of the Alborz range, adjacent to Varārū, Sesang, Gol-e Zard and Mīānrūd. 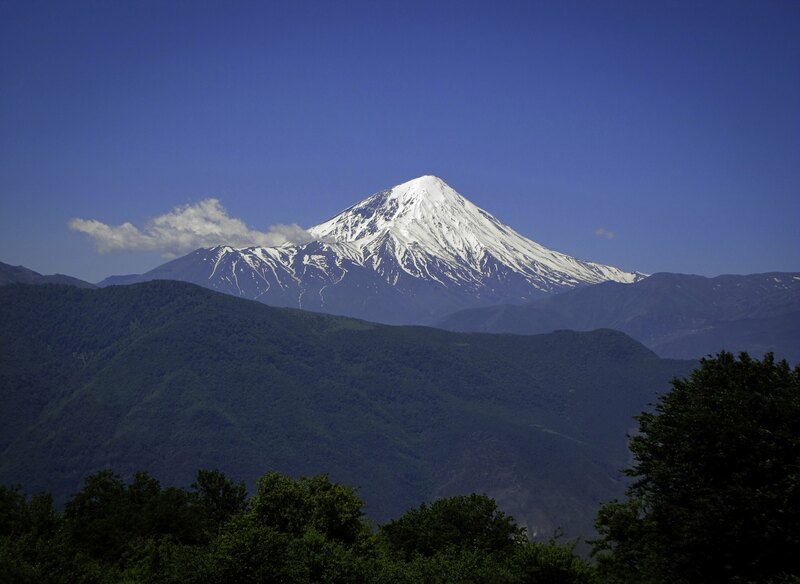 The mountain is located near the southern coast of the Caspian Sea, in Amol County, Mazandaran Province, 66 kilometres (41 miles) northeast of the city of Tehran.